I have just asked permission to upload these, so might be on the DLS next week. NZR Northern coaches and Power car in 42" gauge. Last edited by Bill69; September 28th, 2008 at 07:53 AM. Your doing the North Island spiral? Those screen shots look interesting. Yes I am doing the spiral. I have the rails laid from Raurimu to Ohakune and will probably extend northwards to Taumaranui but still have to do lots of contouring and texturing. The spiral itself is about 90% done but with other activities going on atm it may be some time before it is ready to upload so don't hold your breath. Please no emails - if you want to contact me send a PM. Looks good. 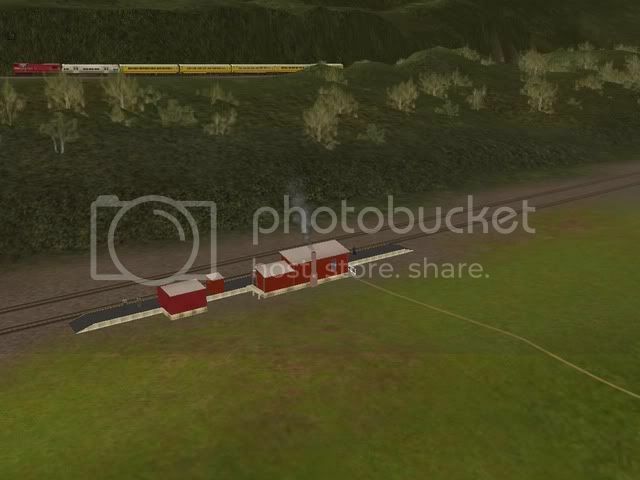 Now we have a range of NZR rollingstock and locos, what say we start a thread for NZ screenshots. isn't that what this thread is? Yeh, OK any one else with NZ screenshots? Your screenshot looks brilliant Rugrat ... a real sence of NZ there!! Could someone maybe post the external links to the NZ rolling stock here? I might have a go at a kiwi route in the near future. Possibly something local like Dunedin - Port Chalmers or maybe a bit more extensive like the Taieri Gorge line to Middlemarch if I can get my hands on a good DEM map. I may have a good source of info soon as I'm doing a bit of work for Dunedin station for the city council and hopefully they might help out with track and gradient diagrams. If anyone has any info on the area I would really appreciate a look if it could help with construction. Stuck at the bottom of the world! And you should also find some DJ's (they would fit in perfectly with the area your talking about), an Xp goods wagon, some URL log cars, LPA wagons and a J class sheep wagon on the DLS. 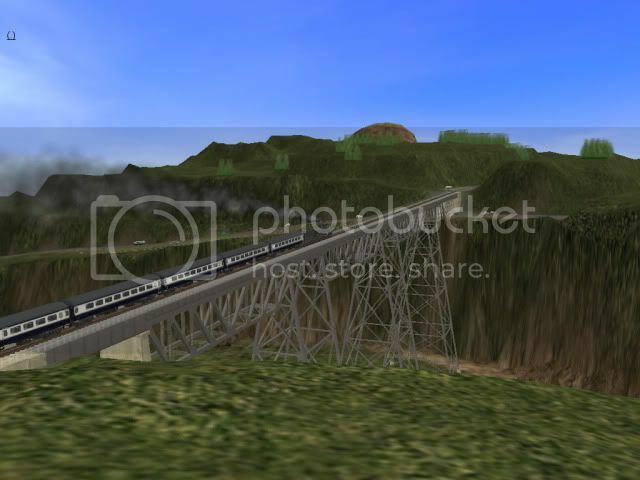 The Northerner Heading North over the Makatote Viaduct on a drizley wet night.